What Does the Bible Say About Are Orbs? 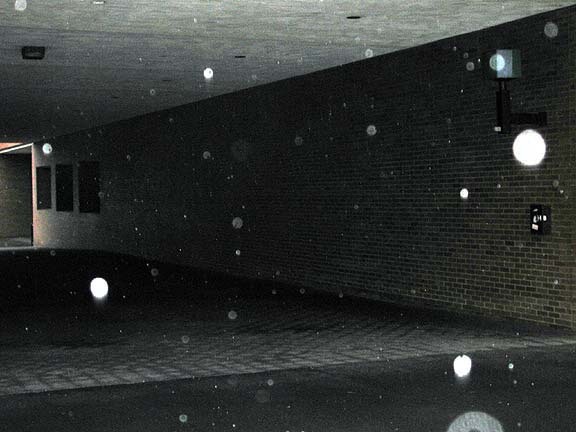 Orbs are believed (by many) to be ghosts in the form of balls of light. They are life forms that travel in groups and are believed to be the human soul or life force of those that once inhabited a physical body here on earth. Psychics claim to talk to them on a regular basis, and ghost hunters encounter them quite frequently. It is said that they are those spirits that have willingly stayed behind because they feel bound to their previous life or previous location for whatever reason. Because of this obsession they tend to become similar to a psychotic human beings. Thank you for your e-mail. Satan deceives many people with psychics, spirits, enchanters, astrology, orbs, ghosts, necromancy (talking to the dead), et cetera. The simple Biblical answer to all of this is that there are only two sources of spiritual power: God and Satan. Any spirit that is not the Holy Spirit is a "familiar spirit." Witchcraft can be Biblically defined as "Seeking guidance, information or power from any spiritual source other the God." Hebrews 1:1,2 tell us that God speaks to us today through "His Son," i.e., the Word of God (John 1:1-13,14; Revelation 19:13). So many people are searching for spiritual meaning everywhere but in the Bible. Jesus said in John 5:39... SEARCH THE SCRIPTURES! Orbs are simply a scientific anomaly, and do not have any spiritual significance. There is nothing in the Scriptures that would indicate being able to communicate with the dead, or that they can communicate with us. In Luke 16:28, we find the rich man burning in Hell, desperately wanting to contact his 5 brothers, but he couldn't. Jesus never called this account a parable, and He used literal names (i.e., Lazarus, Abraham). The dead are either in Heaven or Hell, and there's nothing in the Bible leading us to believe that we can communicate with them. Orbs are not spirits that have chosen to stay behind. Such a decision is not ours to make. If we die in our sins, we go to Hellfire (2nd Thessalonians 1:8,9). If we die in the Lord, then we go to Heaven (2nd Corinthians 5:8; Revelation 14:13). Once we die physically, our eternal destiny is irreversible. Romans 1:20 states, "For the invisible things of him from the creation of the world are clearly seen, being understood by the things that are made, even his eternal power and Godhead; so that they are without excuse." There are elements of the spiritual world that are manifest by the physical world. We can clearly see the goodness of God, and His omnipotence by His creation. Psalm 19:1 also evidences this truth. We can also see the hand of Satan at work today in the sinful world (2nd Corinthians 11:13-15). We read about the "power of Satan" in Acts 26:18, and his ability to blind people from the truth in 2nd Corinthians 4:4. It is a dangerous thing to tamper with Ouija boards, astrology, séances, orbs, palm reading, psychics, ghost hunting, necromancy, astral projection, and other demonic practices. These all open the door to Satanic influence in one's life. The Word of God stands diametrically opposed to such evils. Our strength as believers comes from the Word of God and the Holy Spirit living within our body. The unsaved world, and backslidden believers, invoke demons when they dabble with orbs and other such evils. We ought not seek entertainment and enlightenment from demonic sources. Anything that is of a spiritual nature, which ignores the Word of God, is demonic. Thus, Yin-Yang is demonic. Yoga is demonic. Spiritism is demonic. 1st John 4:4 is a comforting verse to every believer... "Ye are of God, little children, and have overcome them: because greater is he that is in you, than he that is in the world." I wish people would stop being infatuated with the foolishness of orbs, haunted houses, and UFOs and instead become interested in the Bible. God has given us thousands of precious promises to claim in His Word. Your friend is into demonism and witchcraft, and it would be wise for you to share some Scriptures with her (2nd Corinthians 4:4; 11:13-15).